Healthy Feeling Skin, Happy Baby. When a baby is born, their skin is at its most delicate. That’s why we perfected our formulas over 125 years so they’re now even more gentle for all. 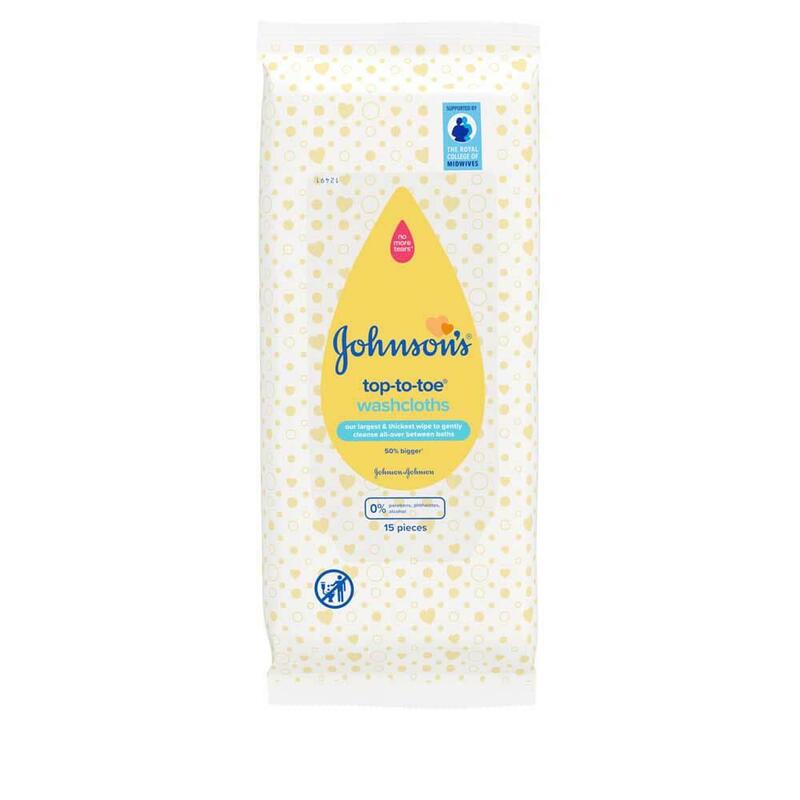 Our TOP-TO-TOE® washcloths are 50% bigger, thicker and stronger than our standard wipes and specially designed to gently cleanse all-over between baths without the need for water or drying. 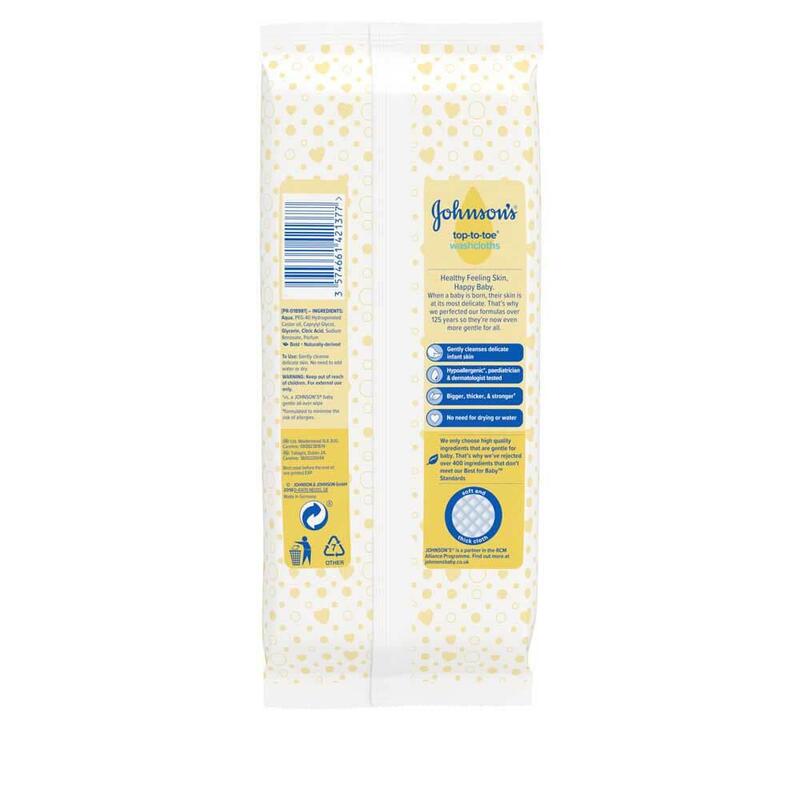 With these extra large cleansing wipes, you can have the gentle cleansing power of a bath without the tub, whenever, wherever your baby needs it. Gently cleanse delicate skin. No need to add water or dry. Perfect for a quick clean up!